“Isn’t it crazy how much time it takes to make one shirt?” says Christel Bibi Blangsted, while cutting the binding for a cuff placket. “Some people believe you can do it in six hours, but it actually takes days.” Or, in the case of Blangsted, more than six months of development – but without the appearance of over-development in the final product. We sit in the north London garden shed that functions as her studio, and with a soft yet clear voice she explains what’s behind her new project. On the floor appears many a scrap of pattern paper; at the back, a telescope looking out of the window; next to the wall, a closet full of white shirts. The sound of scissors accompanies the talking. Blangsted leans over the table, strands of blonde hair drop down, framing her face. 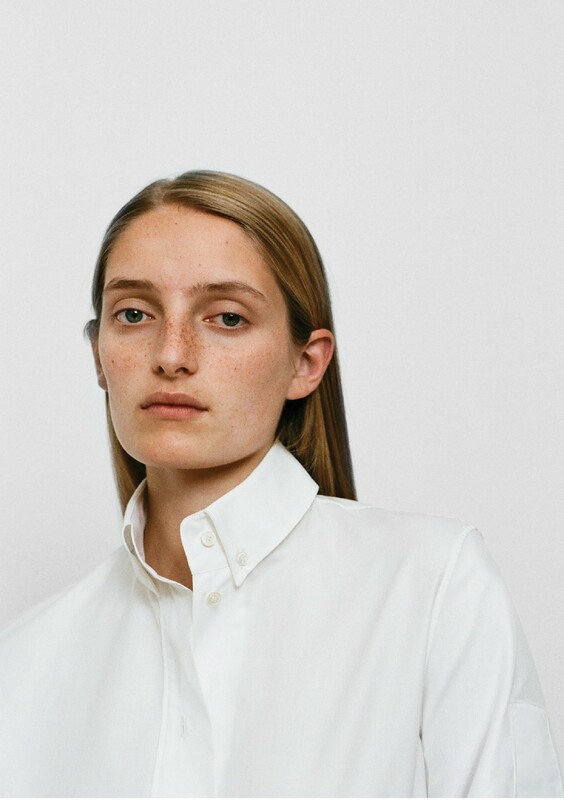 The Danish designer trained under the sharp eye of Louise Wilson, the late MA Fashion course director of Central Saint Martins, and worked for luxury brands such as Ann Demeulemeester and Acne Studios, honing her skills before deciding to start a label of her own, Bibi Blangsted, solely focusing on luxury shirting for women – at least, for now. “The shirt for me is the most interesting garment,” she starts, moving across the room to turn down the radio. “It is so essential and yet it translates a variety of emotions: sensuality, discipline, control… It is hard as a woman to find a good shirt – one that allows you to use it as it was designed. At least, that is what I have found when doing them for other brands: I have had to convert them into something different. 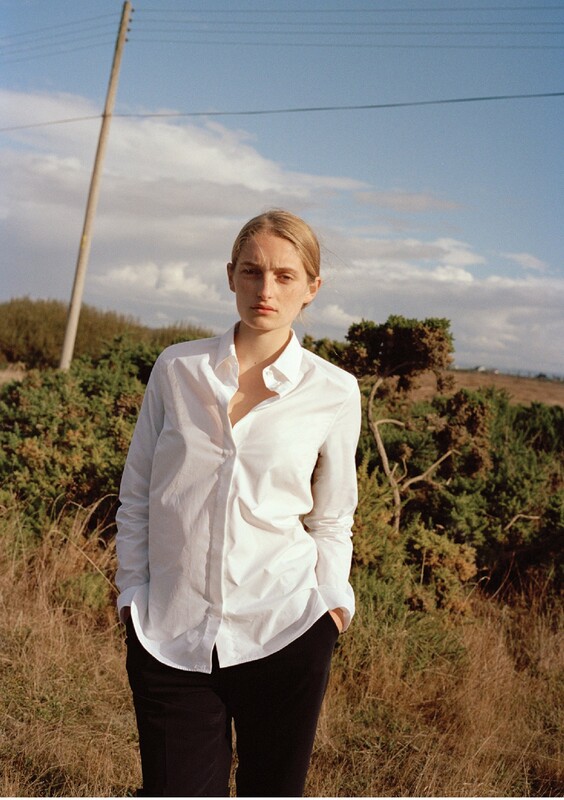 You will see a shirt everywhere you travel – it’s quite reliable, really – and yet it is often the item which is just made at the end of a collection, in a poplin that won’t last long, to tick merchandising boxes. 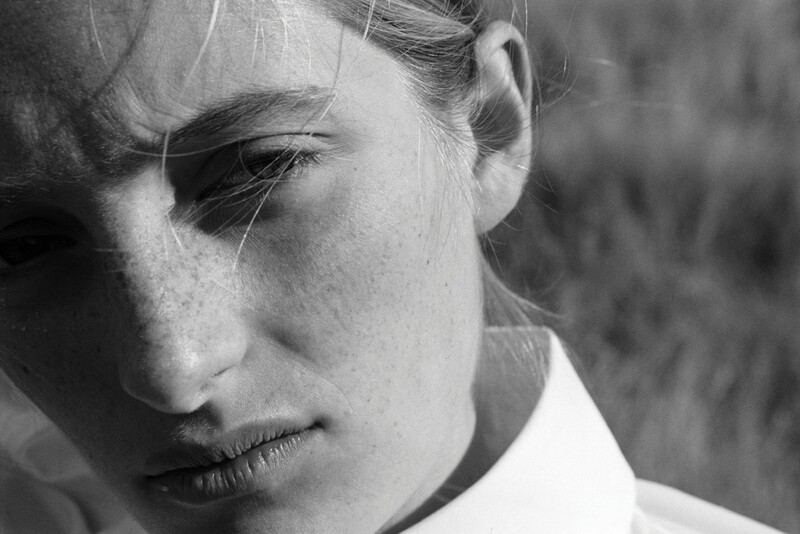 Three delicate white objects, stripped back to their core, feel quite necessary in an age when men’s shirting seems to have reached perfection, yet the feminine counterpart is still found lacking. Distilled and pure, Bibi Blangsted offers that sense of longevity and quality the industry is looking for. To ‘let a shirt be a shirt’ is a design philosophy to make one reconsider one’s values, something much needed in the current tumultuous international climate we find ourselves in. Bibi Blangsted proposes to return to what’s essential, and start anew.